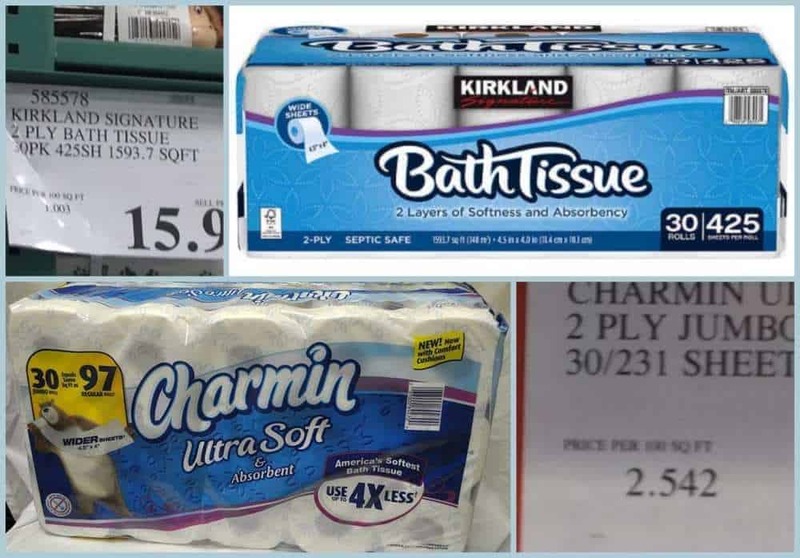 Price-per-square-foot for thick (3-ply), regular (2-ply) or thin (1-ply) is the most reliable method for comparing toilet paper prices. Most manufacturers these days reveal both of these measurements on the product label. You may have to search for it, but somewhere you should be able to find this. So you thought all those math classes you took in school were for naught? Finally, they’re about to pay off. The goal is to discover the price per square foot (denoted as “sq ft” or “ft2”) of the products you are comparing. 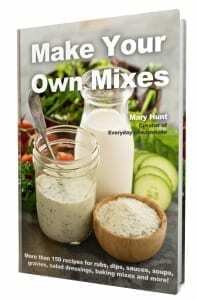 Do this by dividing the price of the product by the total number of square feet. If the product label reveals the number of square feet contained therein, you’re in luck. Do the math. If the label shows how many square inches of product are contained in the package, divide that number by 144 to get to the number of square feet. Now divide that number of square feet into the price. If the store’s shelf label reveals the price per 100 sq. ft., divide that price by 100 to get the price of one square foot. As I write, Costco’s Kirkland brand two-ply toilet tissue in the 30-roll package contains a total of 1,594 sq. feet of product for $15.99, or $0.01 per sq. ft. ($16 ÷ 1,594 = 0.01). Right next to that brand is the 30-roll package of 2-ply containing 865 sq. ft. of paper, for $21.99, or $0.025 per sq. ft. ($21.99 ÷ 865 = $0.0254). 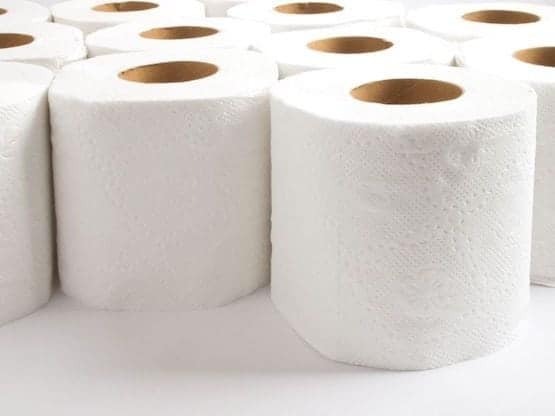 Once you know to compare the price of toilet paper by the square foot, it will be simple to know with certainty which toilet paper is the best deal on any given day. 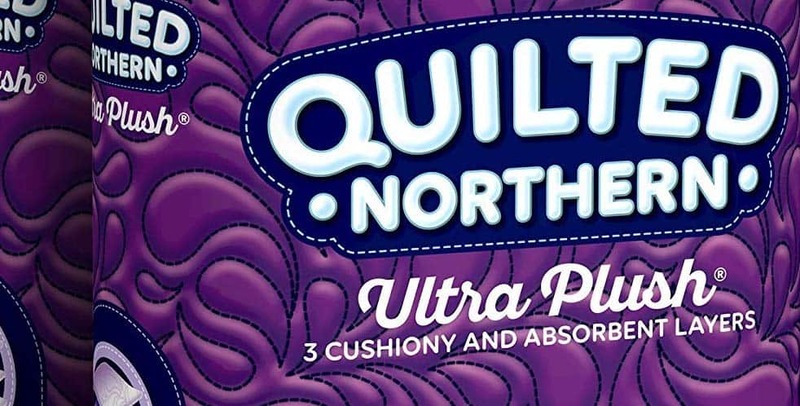 It doesn’t matter if you’re comparing a 30-roll package of ultra soft jumbo two-ply product with one that’s 4-rolls of single-ply. The price per square foot will give you the answer you’re looking for. 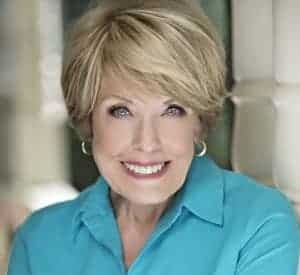 While toilet tissue is one of life’s necessities, author Linda Wright has found a way to elevate it to an art form. 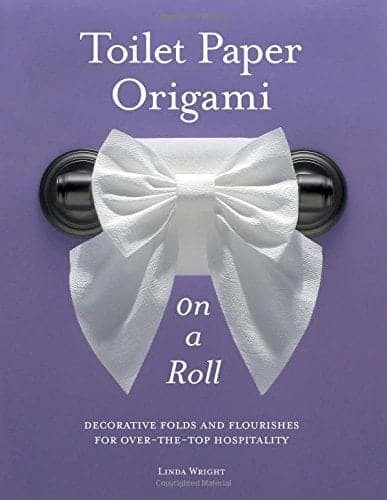 Toilet Paper Origami on a Roll, by Linda Wright, is one of my favorite books. It’s a step-by-step guide to folding toilet tissue into flourishes and shapes to create a beautiful bow, elegant swan and so much more. I can’t say that I have mastered this delightful way of folding toilet paper to surprise my friends and family, but I’m working on it!